The lounge chair 43 by Artek was designed by Alvar Aalto in 1937 and is a very comfortable lounger, that impresses with its free-floating lying surface. 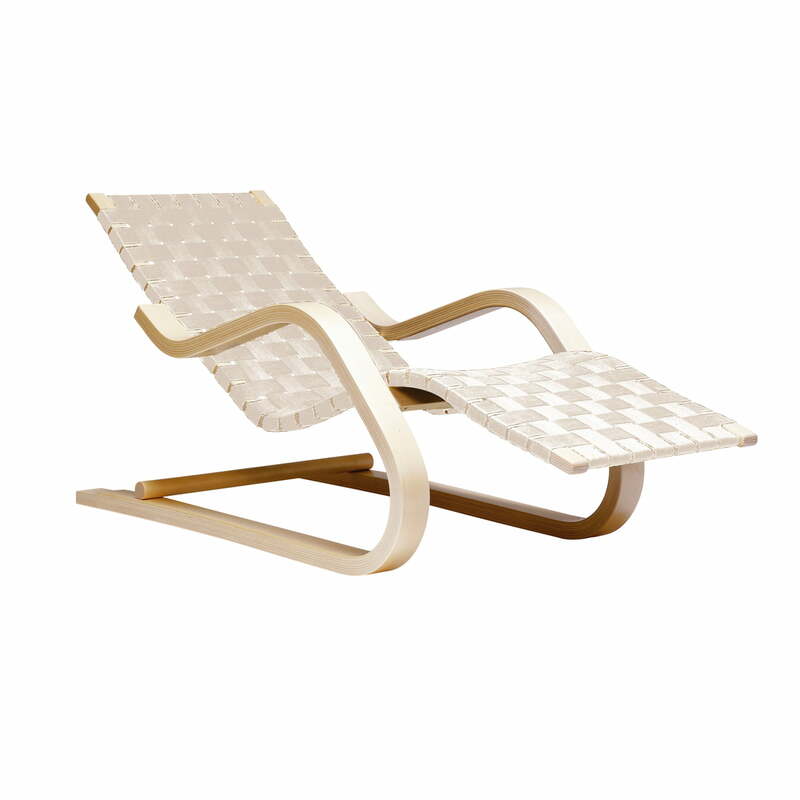 The frame of the lounger consists of solid birch, while the surface is made of linen belts. The combination of birch and canvas belts is not only visually appealing, but also comfortable. The slight rocking of the free-floating lying surface contributes to the comfort. 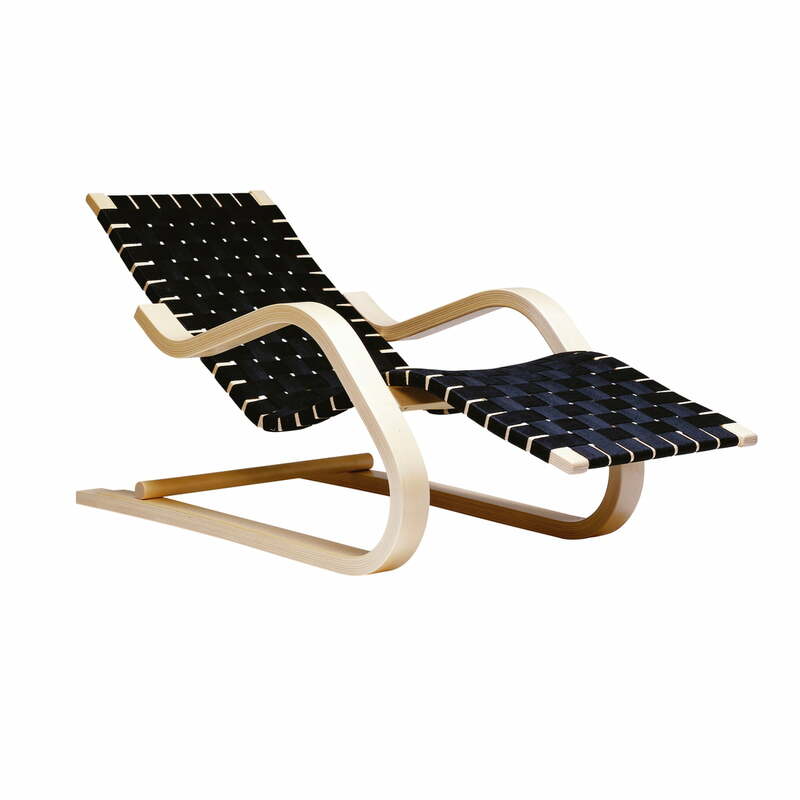 Lounge chair 43 designed by Alvar Aalto, manufactured by Artek in birch / natural, The frame of the lounger consists of solid birch, while the surface is made of linen belts. Lounger 43 by Artek in birch / black The lounge chair 43 by Artek was designed by Alvar Aalto in 1937 and is a very comfortable lounger, that impresses with its free-floating lying surface.